Alexander Graham Bell invented the telephone, simple as that. 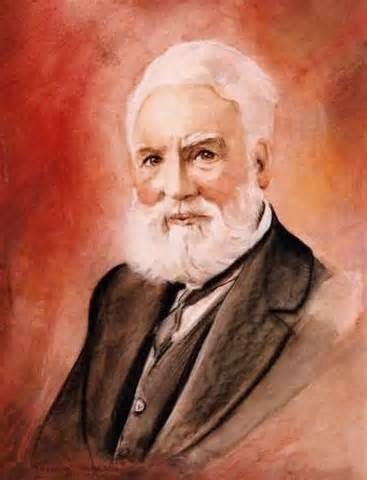 Born and educated in Scotland, he was the son of Alexander Melville Bell, who was the inventor of "visible speech," an alphabet that used symbols to represent human sounds. The Bell family emigrated to Canada in 1870, and in 1871 young Alexander moved to Boston, Massachusetts as a teacher to the deaf. He worked on ways to translate the human voice into vibrations, and thus came up with the idea for the telephone. In 1875 Bell began working with Thomas Watson, a mechanically-inclined electrician; by 1876 Bell had uttered the first intelligible sentence over the phone: "Mr. Watson, come here, I want you." Later in his career, Alexander Graham Bell worked on a variety of ahead-of-his-time inventions, including flying machines and hydrofoils.